Ottawa, June 15, 2017 - The Hon. Hedy Fry, Chair of the House of Commons Standing Committee on Canadian Heritage, today presented the report of a study on access to local and regional media and the impact of media consolidation and digitalization. Disruption: Change and Churning in Canada's Media Landscape is the result of year-long study with testimony from over 131 witnesses. The witnesses, drawn from print, broadcast and digital media experts and academia appeared before the Committee to provide their views on the state of Canadian media today. Many witnesses expressed concerns about the concentration of media ownership and its negative effect on the diversity of voices locally, regionally and nationally. “We heard about the challenges caused by news aggregation, which often conflated verifiable and accountable news sources with 'citizen journalism', giving rise to the phenomenon of ‘fake news’ said Fry "It was noted that the very nature of journalism is changing in the digital age‎ and it was imperative that all media follow the same ethical and regulatory guidelines." The Committee makes 20 recommendations: Key is the creation of a new government funding model that is platform agnostic and would support Canadian journalistic content. Another recommendation suggests leveling the playing field across all platforms so that foreign news aggregators are subject to the same tax treatment as Canadian providers. The Committee also recommends tax measures to allow deduction of digital advertising on Canadian-owned platforms and to assist the transition from traditional to digital platforms. CBC/Radio-Canada’s local services also loomed large in discussions. The Committee reiterated the importance of the national public broadcaster and its role in the dissemination of ‘locally reflective’ news and programming across all of its platforms, and production and dissemination of locally reflective news and programming across all platforms. The Committee also recommends that CBC/Radio-Canada eliminate advertising from its digital news platforms. Witness testimony and a link to the report can be found on the Parliament of Canada website at http://www.ourcommons.ca/Committees/en/CHPC/StudyActivity?studyActivityId=8800976. 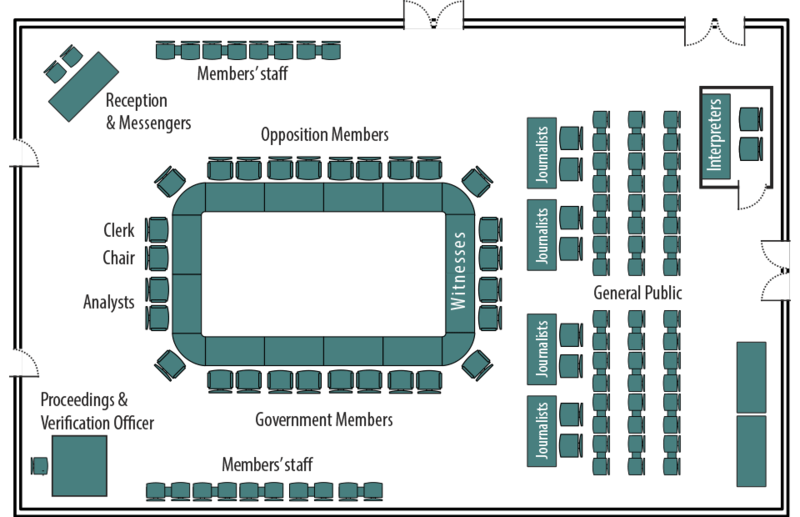 The Standing Committee on Canadian Heritage is composed of 10 members. The Hon. Hedy Fry (Vancouver Centre) serves as chair and Larry Maguire (Brandon — Souris) and Pierre Nantel (Longueuil — Saint-Hubert) as vice-chairs. The other members are the Hon. Peter Van Loan (York — Simcoe), Pierre Breton (Shefford), Julie Dabrusin (Toronto — Danforth), Seamus O’Regan (St. John’s South — Mount Pearl), Dan Vandal (Saint Boniface — Saint Vital) and Kevin Waugh (Saskatoon — Grasswood).